The quick and easy guide to SC Homeschool Laws–in a nutshell. I’m a big picture person. I want to know the framework first, so I can fit the details in later. If you’re like that too, then this is the place for you! You’ve decided to homeschool. Now your head is swirling with questions. Can I do this? How can I do this? What does the law require? the local school district *OR* an independent accountability association. How Do I Start Homeschooling? 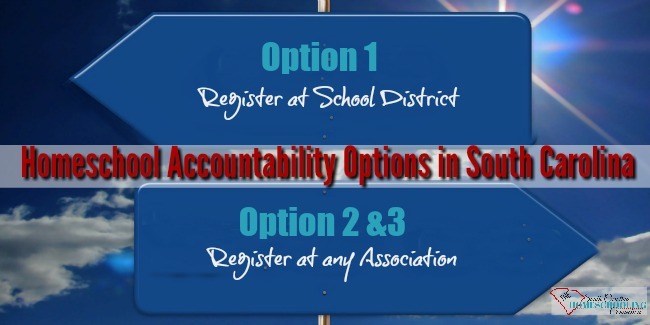 Register with an accountability option (either the school district or an independent association). Each homeschool should be registered by the 10th day after the start of school in the zoned district. 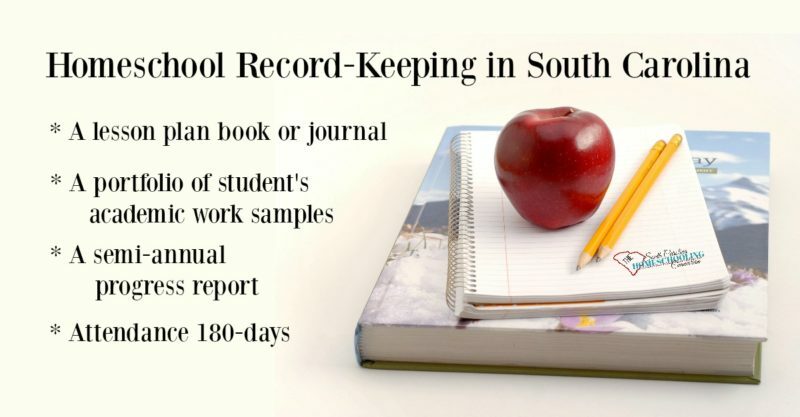 Withdrawing mid-year, the homeschooler should provide the school with documentation of registration. How do I choose an Accountability Association? Many homeschoolers start with an association recommended by a somone they have met. We recommend that you contact the association to find out how their policies suit your needs. How accessible and knowledgeable is the director? What services do they provide? What are the membership fees and what paperwork do they require? Do school districts provide homeschools with books and materials? Are homeschools required to use district curriculum? School districts are not required to issue books or materials for homeschoolers. Some districts may do so. Homeschoolers are not required to use district materials nor follow the state’s scope and sequence. Are homeschoolers allowed to participate in extra-curricular activities, like sports, music and clubs? Act 203, Equal Access to Interscholastic Activities Act, permits homeschoolers to participate when statutorily-required conditions are met. Also take a look at the alternative private sports programs, too. Are Homeschool Students required to do standardized testing? Option 1 students are required to participate in state mandated standardized testing, including End of Course exams in High School. Option 2 or 3 students may choose when to test and which standardized test to use. They are not eligible for the state testing, so testing is done via private groups. Do homeschool students receive a state diploma? Homeschoolers do not receive state issued diplomas. Individual homeschools or associations may create their own diploma. Homeschool transcripts are acceptable for college admissions and scholarships, often without GED. Do homeschool students in grades 7-12 earn credits for courses they pass? High school credits are designated on a transcript that is maintained by the parent or the association. These credits are not automatically accepted by public or private schools, should the student wish to re-enroll. 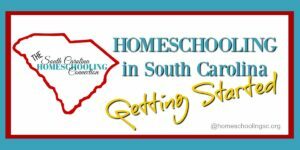 Can homeschool students earn credits through the South Carolina VirtualSC? VirtualSC courses are open to homeschoolers, free of charge. What if I re-enroll in traditional school? If a homeschool student re-enters traditional school, the district has the right to determine instructionally appropriate classes and grade levels. Placement is often based on certain test results. Associations provide, at least, the minimum requirements of the law. The weight of responsibility is on the parents. Associations implement a variety of paperwork to document that parents are maintaining their responsibilities. Additional services, such as curriculum counseling, transcript services and graduation ceremonies, may be available for additional charges. Check the associations directory to find one that provides the services you would need. Standardized Testing is not required by law. Some associations may require it for their members. Others will provide testing information and opportunities for families that wish to test. Testing is done through private groups. Read the SC Homeschool Laws for yourself. Associations are covered under 59-65-45 and 59-65-47. Homeschooling under the School District is covered under 59-65-40.